From one window, several administrative tools support connections to target systems. You can view multiple connections in separate tabs (like in SecureCRT) or like branches in tree-view navigation pane (like in Microsoft SQL Management Studio). These applications can use different credentials for each target system connection. However, some applications have limitations when using multiple tabs or branches. 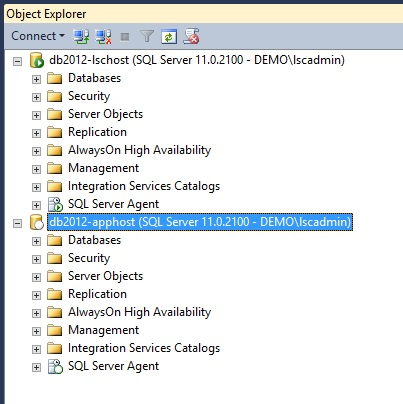 For example, it is possible to use Integrated Windows Authentication to connect SQL Management Studio to some MS SQL servers, while others require an explicit SQL account using SQL authentication. In the case of SQL Management Studio, when the tool is launched and integrated, Windows authentication is used, and it is not possible to reuse the existing instantiation of the tool. 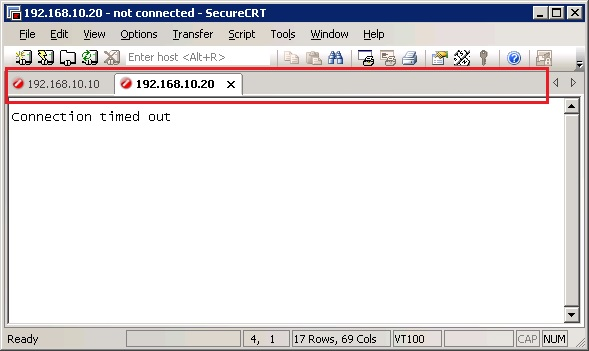 However, if one connection uses integrated authentication and the secondary connections use SQL authentication, or if all connections use SQL authentication, you can reuse the currently running instance. Privileged Identity supports this functionality via the Multi-tab Configuration window in Remote Application Configuration. If multi-tab is not used, when a user launches a tool like SecureCRT or SQL Management Studio, it establishes one session on the jump server and one instance of the application in that session. This is a more secure scenario because it segregates the data and session information so it cannot be shared within the tool or within any systems the user may be accessing. The trade-off is that a secondary launch of the same tool, just to a new system, will cause a second session to be created, and it can be slow and consume more resources. If multi-tab is used, when a user launches a tool such as SecureCRT or SQL Management Studio, it establishes one session on the jump server and one instance of the application in that session. Then, when a user launches the same tool again to connect to another system, it reuses the existing session and adds a tab or another tree to the tool. This reduces resource consumption on the jump server and can speed up the use of the tool. The trade-off is that the application can share information from all servers with anything it is connected to.